Tenkar's Tavern: Knights of the Dinner Table Live action Series Facebook Page is Live! 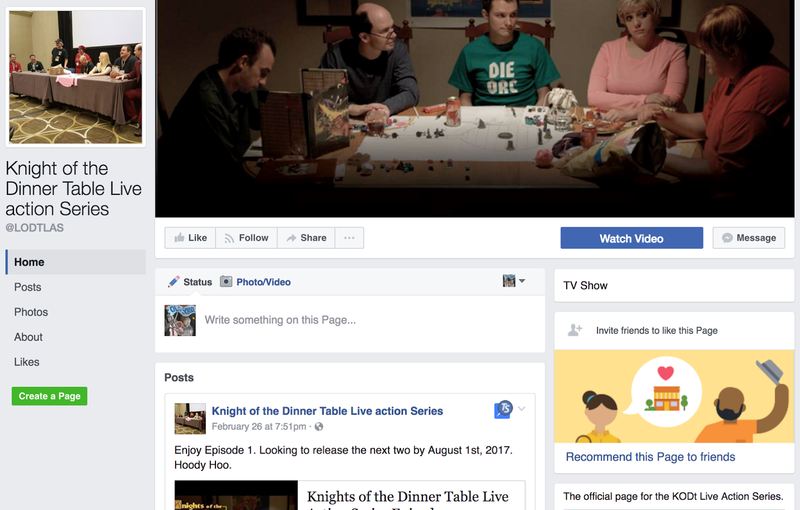 Knights of the Dinner Table Live action Series Facebook Page is Live! So, how can we tell #ConManKen put the page together? Everything was posts February 26th, 2017. Nothing since. Ken is always true to form. It's part of the sociopathic diagnosis that sociopaths are unable to learn from past mistakes. Any signs of work like refreshing a Facebook page like this only mean he is prepping a new scheme to scam money from the unsuspecting. Bet me. Not sure that purpose of the page was. Certainly not for backers. Anyone who dared mention the kickstarter or who asked questions has been blocked. Its a shell game of sorts. Ken is trying to show that he plans to release "product" by August 1st, 2017. It was a rush job, probably done as some kind of defense tactic for the criminal charges being filed in Georgia. Perhaps this is the wrong venue, but... How is he still allowed to use the brand after so much breach of contract? I wonder if he posted the remaining content to Youtube, if that would count as fulfillment? Not saying he still has anything not yet released or that he will actually doing anything. Just spitballin'. And apparently it's "KODt" for unknown reasons.